Chelsea Hamilton: Mama et Bebe Messenger: First Impressions. Mama et Bebe Messenger: First Impressions. When I started buying things for baby and myself I knew straight away were I was buying my changing bag from. Pink Lining is a company that has gone from being a small business starting in a basement to a must have brand, stocked in Harrods and featured in Vogue now selling rapidly worldwide. They have an array of beautiful changing bags and accessories, There known for there French themes and colourful patterns. After looking at all there designs i decided to go for the mama et bebe messenger bag with the hydrangea pattern. 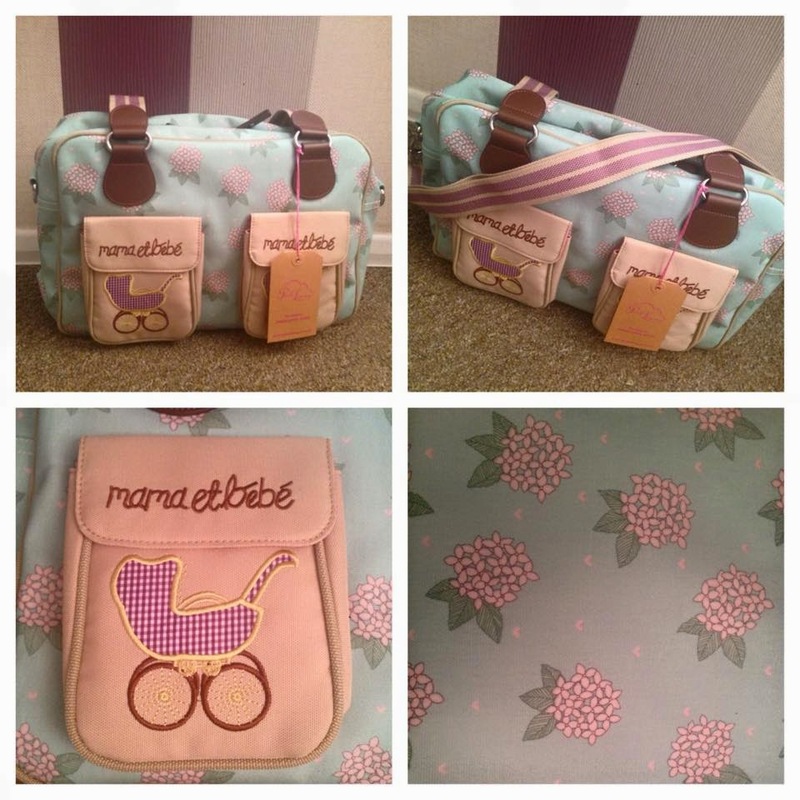 I just love this bag, the outside of the bag has two canvas pockets with the mama et bebe slogan and a sown on pram embellishment. The bag comes with an adjustable shoulder strap That is long enough to fit over the pram handle bars. 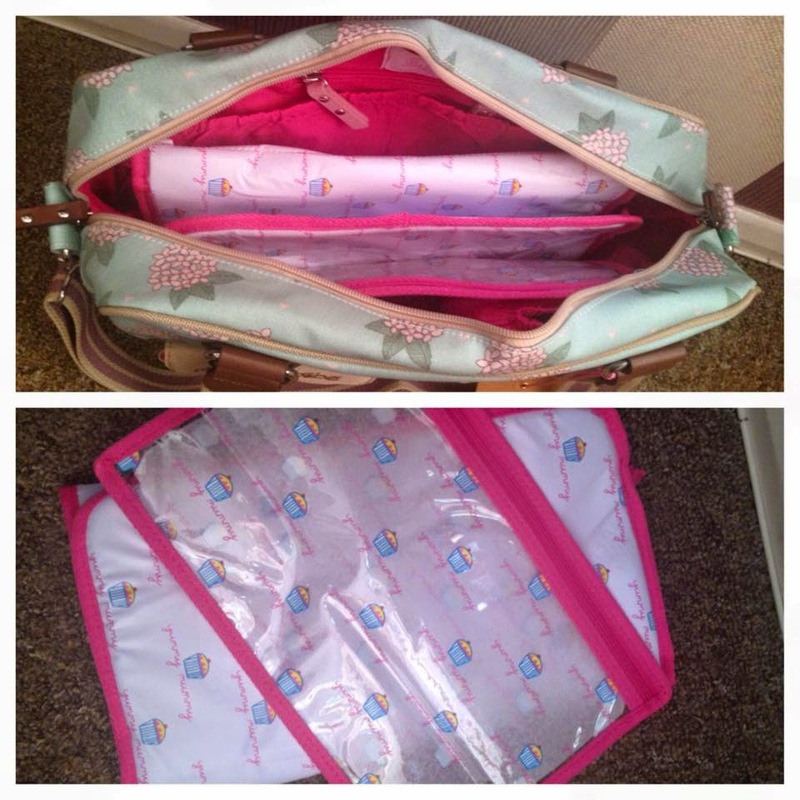 The inside has the trade mark shocking 'Pink Lining' 2x insulated bottle holders, 2x nappy pockets, pen holder, key fob, mirror, phone pocket, small zip pocket, padded changing mat and wet zip bag with the famous 'Yummy Mummy' writing and cupcake on. Its very spacious and reminds me of Mary poppin's bag, which Is fabulous, I didn't want a big hefty bag to cart around with me. All in all I love this bag and would recommend anyone to go have a look at all the other styles they do, I can guarantee you'll fall in love like I did. This bag retails at £79.00. Thanks for reading, leave a comment.